Dragonhammer are an Italian power metal band and this is their fourth album. This is a band named Dragonhammer. I mean, how can you not want to listen to them? There’s more to Dragonhammer than just their enticing name, however. This is epic stuff, mixing power, progressive, and symphonic metal quite naturally and easily. The songs have obviously been crafted by people that both know and love the style, and there are more than enough stirring and upbeat moments to get those fists punching the air enthusiastically. The omnipresent keyboards are sometimes quite ostentatious and in-your-face, while at others they retreat to the background and work their magic more subtly. Either way, they’re an integral part of the Dragonhammer sound. A frequent weak spot for a band like this is the singer, but thankfully the vocalist of Dragonhammer has a good voice. He knows how to use it too, hitting soaring highs and calmer lows, as the song requires. 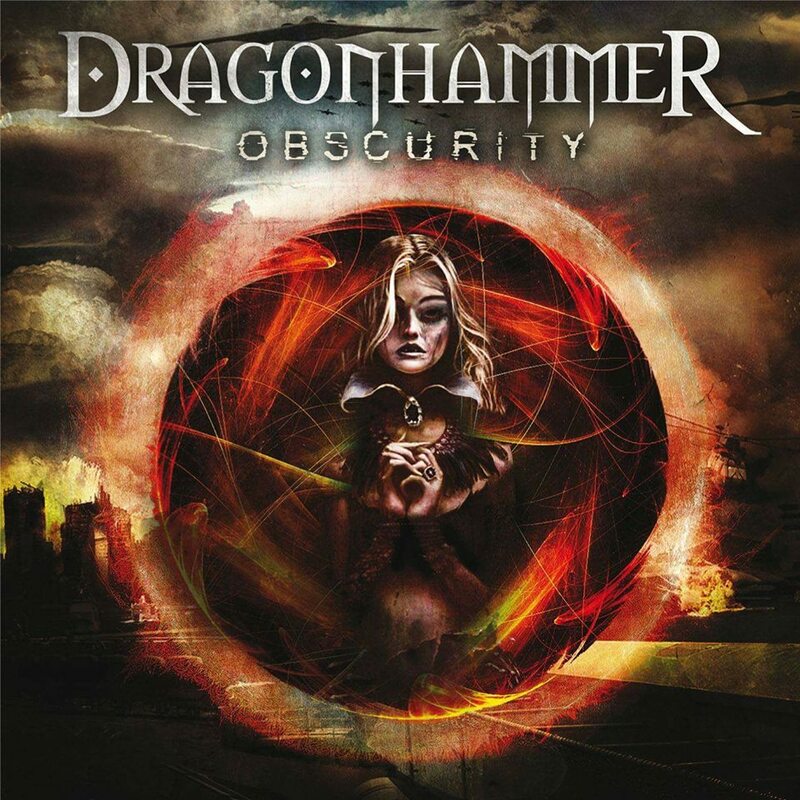 Mixing elements of Blind Guardian, Dragonforce, Threshold, Freedom Call, and others, Obscurity is an enjoyable and well-rounded listen. Let’s just hope it isn’t destined for a fate similar to the album title, as Obscurity has a lot of music to be enjoyed. This entry was posted in Metal and tagged Dragonhammer, Metal, Power Metal, Progressive metal, Symphonic metal. Bookmark the permalink.